Enthusiastic beginner youth girl players welcome! 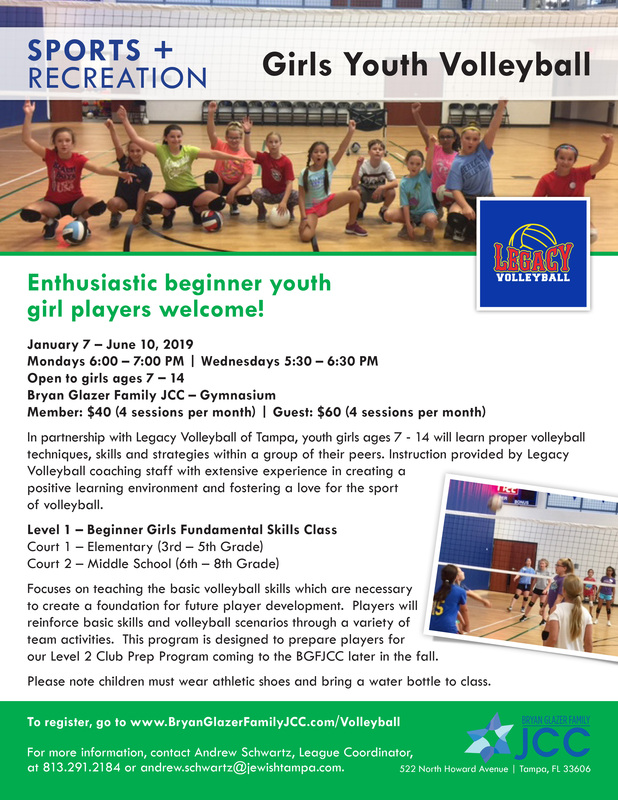 In partnership with Legacy Volleyball of Tampa, youth girls ages 7 - 14 will learn proper volleyball techniques, skills and strategies within a group of their peers. Instruction provided by Legacy Volleyball coaching staff with extensive experience in creating a positive learning environment and fostering a love for the sport of volleyball. Focuses on teaching the basic volleyball skills which are necessary to create a foundation for future player development. Players will reinforce basic skills and volleyball scenarios through a variety of team activities. This program is designed to prepare players for our Level 2 Club Prep Program coming to the BGFJCC later in the fall. Please note children must wear athletic shoes and bring a water bottle to class. 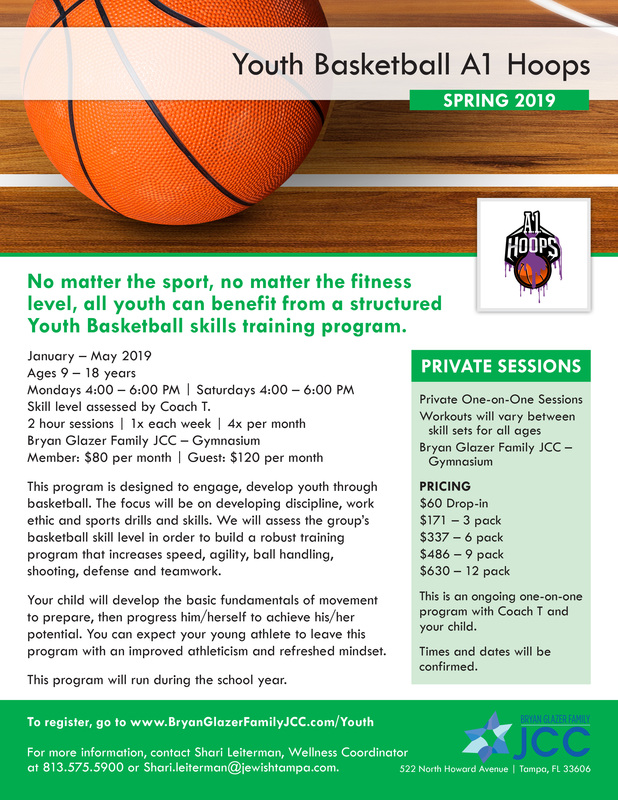 Skill level assessed by Coach T.
No matter the sport, no matter the fitness level, all youth can benefit from a structured Youth Basketball skills training program. This program is designed to engage, develop youth through basketball. The focus will be on developing discipline, work ethic and sports drills and skills. We will assess the group’s basketball skill level in order to build a robust training program that increases speed, agility, ball handling, shooting, defense and teamwork. Your child will develop the basic fundamentals of movement to prepare, then progress him/herself to achieve his/her potential. You can expect your young athlete to leave this program with an improved athleticism and refreshed mindset. This program will run during the school year. This is an ongoing one-on-one program with Coach T and your child. Times and dates will be confirmed.